Wolf Commercial Real Estate, a leading Southern New Jersey commercial real estate broker with expertise in South Jersey commercial real estate listings and services, now is offering highly visible South Jersey medical space for sale or lease at 3001 Chapel Avenue West Cherry Hill NJ. 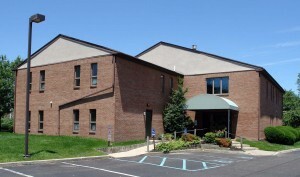 Located in the heart of Cherry Hill, this free-standing South Jersey medical office building for sale or lease has Southern New Jersey medical space for sale or lease on two floors. There is 4,900 square feet of medical space in South Jersey available on the first floor and another 1,300 square feet on the second floor of this South Jersey medical office building for sale or lease. The asking lease price for this medical office space in South Jersey at 3001 Chapel Avenue West Cherry Hill NJ is $16.00 sf/gross plus utilities and janitorial. For information on the asking sale price of this medical space in South Jersey, please contact Wolf Commercial Real Estate, a Southern New Jersey commercial real estate brokerage firm that specializes in South Jersey commercial real estate listings and services. This South Jersey medical office space for sale or lease is located within close proximity to Kennedy University Hospital – Cherry Hill on Chapel Avenue West at Cooper Landing Road. Located on cherry tree-lined Chapel Avenue, this Southern New Jersey medical space for sale or lease has convenient access to Route 70, Route 73, Route 38, I-295, the New Jersey Turnpike and Kings Highway. This medical office space in South Jersey at 3001 Chapel Avenue West Cherry Hill NJ features elevator service for its two stories. There is both monument and building signage available at this South Jersey medical office space for sale or lease. This South Jersey medical space for sale or lease is the perfect fit for any professional or medical user in the market for medical space in South Jersey that has excellent visibility, ample parking and nearby access to medical facilities, restaurants, banks and retail shops. This Southern New Jersey medical space for sale or lease is available for immediate occupancy through Wolf Commercial Real Estate, a Southern New Jersey commercial real estate broker that specializes in South Jersey commercial real estate listings and services. More than 274,200 people reside within five miles of this South Jersey medical office building for sale or lease at 3001 Chapel Avenue West Cherry Hill NJ. Parking is abundant at this South Jersey medical office space for sale or lease at a ratio of 4.50/1,000 sf. On average, more than 26,000 vehicles pass this medical office space in South Jersey on a daily basis. For more information about this South Jersey medical space for sale or lease at 3001 Chapel Avenue West Cherry Hill NJ, about any South Jersey medical office building for sale or lease or about any South Jersey commercial properties for sale or lease, please contact Jason Wolf (856-857-6301; jason.wolf@wolfcre.com) at Wolf Commercial Real Estate, a Southern New Jersey commercial real estate brokerage firm with expertise in South Jersey commercial real estate listings and services.